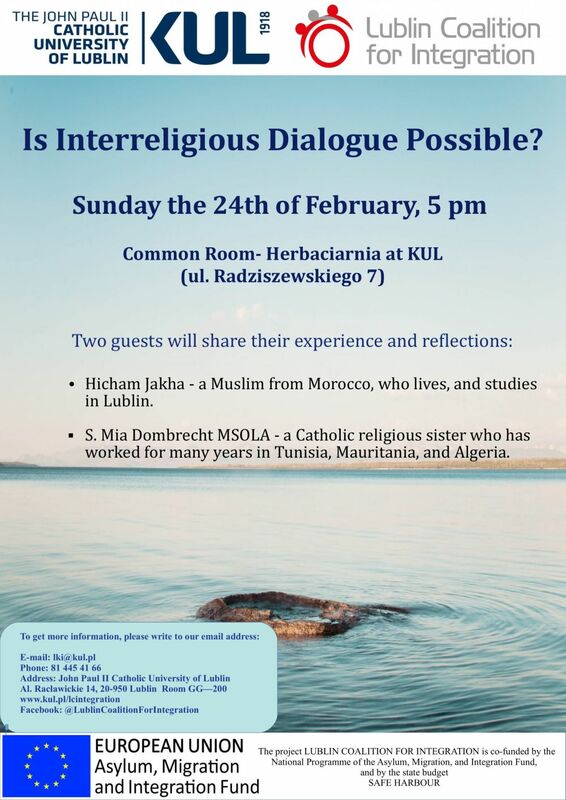 Hicham Jakha – a Muslim from Morocco who lives and studies in Lublin. S. Mia Dombrecht MSOLA – a Catholic religious sister who has worked for many years in Tunisia, Mauritania, and Algeria. On Sunday 16th a Christmas wafer meeting took place in Common Room. We are happy that the CR community grows. Foreign and Polish students from almost all Lublin universities came to integrate and enjoy each other’s company. Additionally, the representatives of the Project’s Media Group were present, which might suggest the first episode of our Integration Vlog series is coming! Special thanks are for Father Adam and CR volunteers and all “Rabbit’s Friends and Relations”, who initiated and executed the venture. Thanks for being with us! The first week of October brought a number of events at KUL, but the most important for us was Orientation Week. As many as 23 foreign students took part in our 5-day cycle of workshops. The participants came from such countries as China, Republic of Korea, Thailand, Ukraine, Morocco, Turkey, India and Zimbabwe. 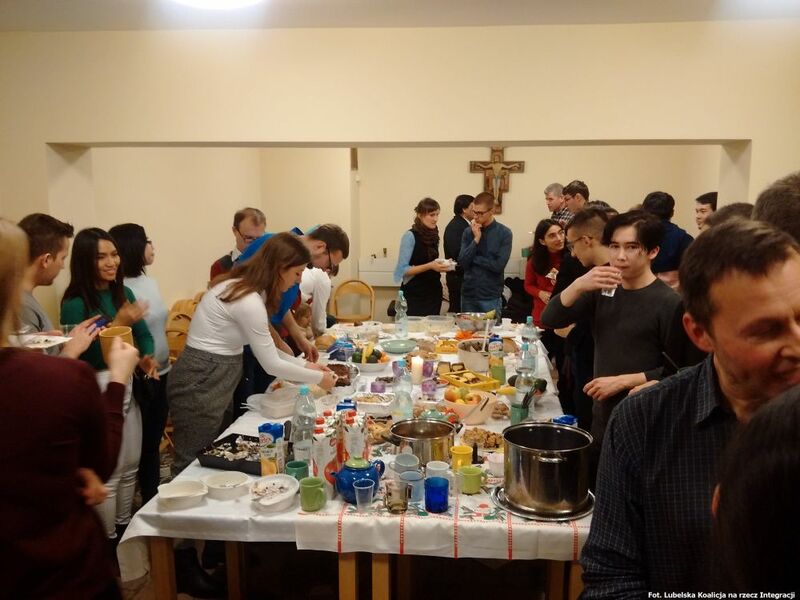 They had opportunity to learn Polish history, traditions and culture, as also taste Polish dishes. Summing up: INTEGRATION LAUNCHED! On 5th October the John Paul II Catholic University is organising for the third time an International Day at KUL. The aim of this event is to cordially welcome all foreign students studying at KUL, get them familiar with the University, integrate them with Polish students and invite them to actively join the academic community. The programme includes meeting with the University Authorities and tasting of traditional Polish dishes. 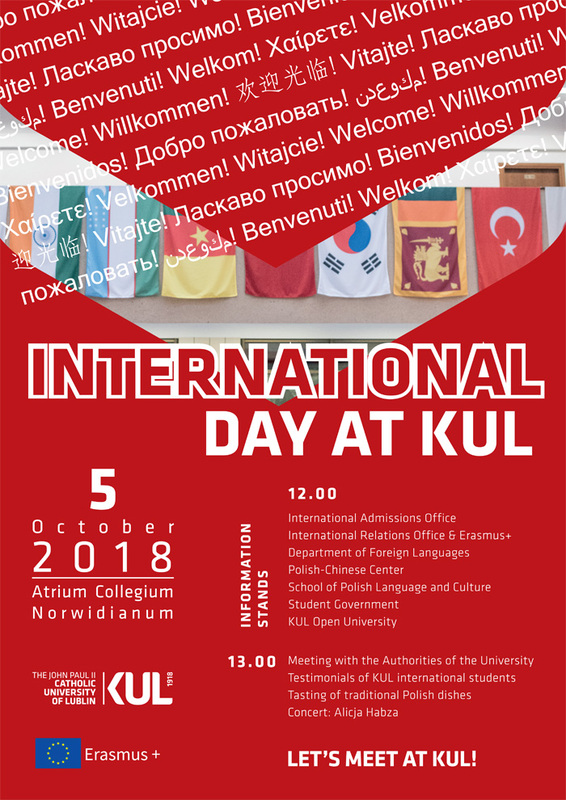 You are kindly invited to Atrium Collegium Norwidianum at 1 p.m., where the participants of International Day at KUL will be officially greeted by the University Authorities. An hour earlier there will also be information stands with information materials for foreign students. First week of academic year abounds with events addressed to new students, one of which is ORIENTATION WEEK organised under our project. 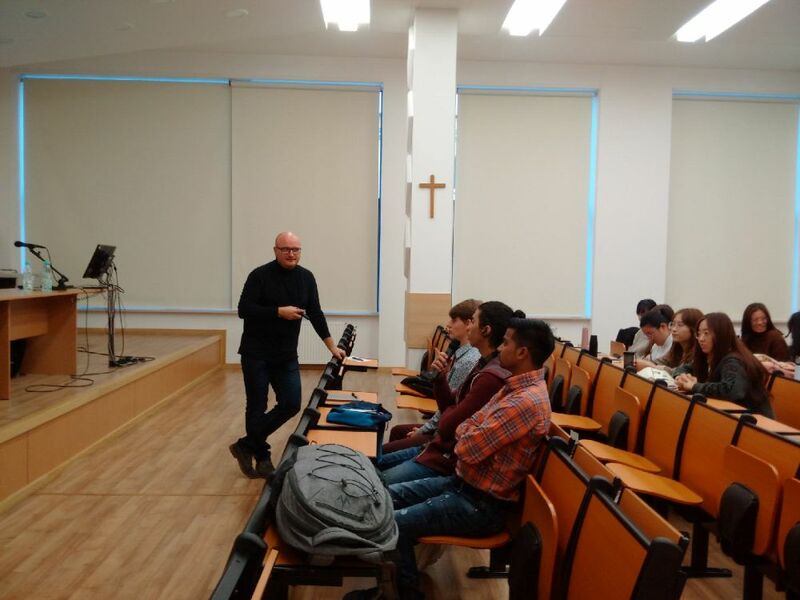 It is a week-long cycle of workshops and lectures to introduce foreign students into the life and studies in Lublin. If you are a foreigner at our University, feel free to come and have fun learning about Polish history, culture and habits. For details see agenda below. We have just started recruitment!